on a leaf. Plus, because I became bored with droplets and leaf textures towards the end of the day, a ladybird. Those droplets are fantastic! At first glance, I thought I was looking at a photograph. 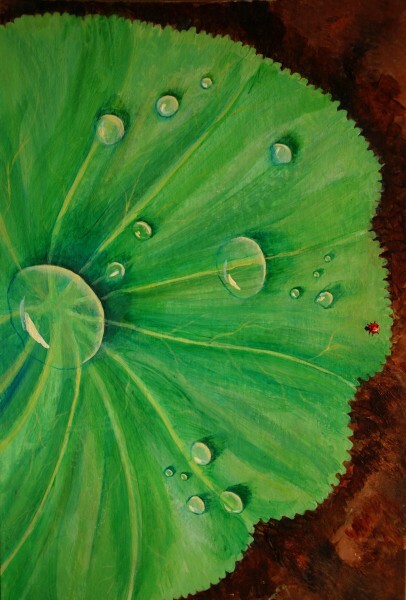 The technique is surprisingly simple: the leaf was harder to paint than the droplets! I'm really pleased I learned how to do it.